It is that time of the year again in Japan, Seijin no Hi! Are you wondering what the heck is ‘Seijin no Hi’? Well you came to the right blog, where I’ll tell you all what exactly this special day in Japan is. As well as images of the event. 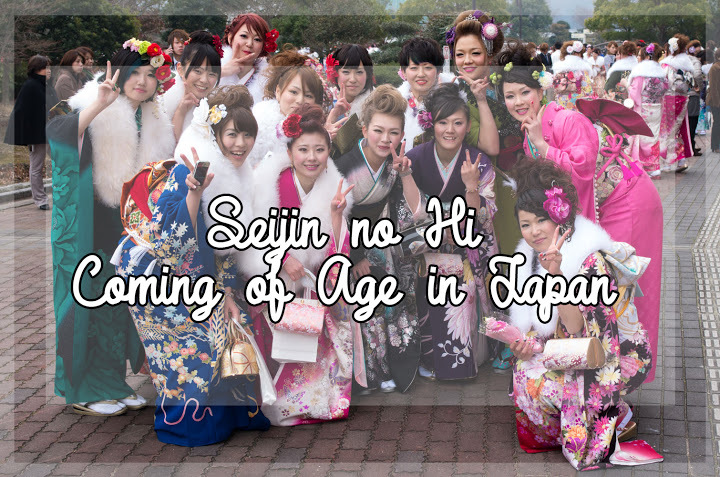 What is Seijin no Hi? 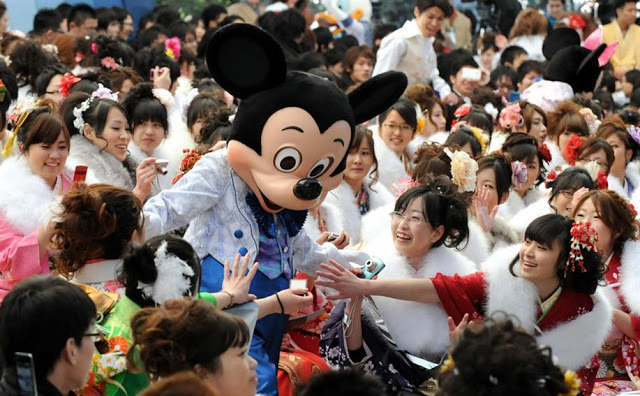 Seijin no Hi is a traditional and national Japanese holiday. It basically means, Coming of Age Day. The act of coming of age, dates all the way back to the 700s. However, back then, children became of age much younger compared to their modern day counterparts. In 1876, they raised adulthood to 20 years old. Meaning that in Japan you can’t drink or smoke until you hit the big two-zero. In 1948, it turned into a national holiday, hence the birth of Seijin no Hi. It is held on the second Monday of January, every year. 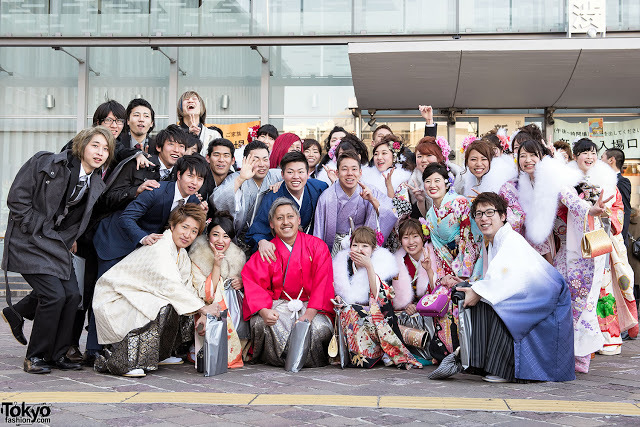 On this day, those who turn/ed 20 between April 2nd of the previous year and April 1st of the current year are considered adults and attend a Seijin shiki. 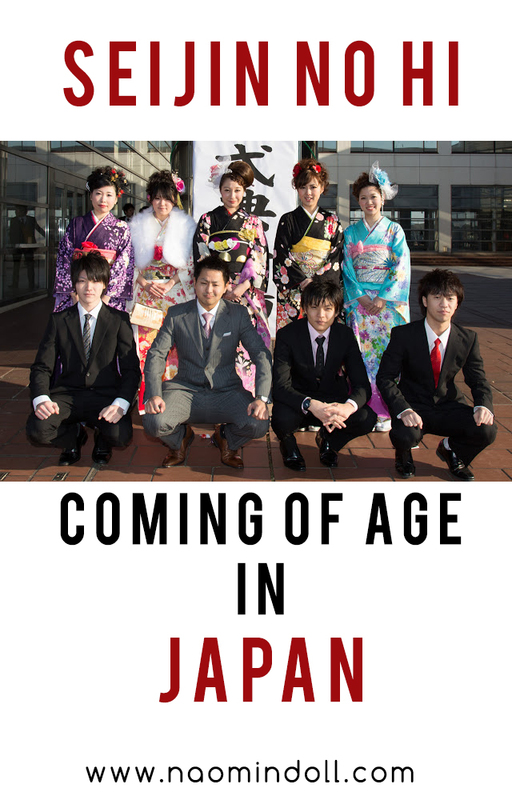 A Seijin shiki is a Coming of Age ceremony. Government officials hold these ceremovies in the early morning of the day, at the local city offices. Some youth consider the event boring due to the formal speeches. Though some officials are interesting and burst out in song and give out gifts. For many, it acts as a special reunion with those they grew up with. Therefore it’s not unusual for people to attend the ceremonies in their hometowns. Some places offer discounts for the new adults or even host the ceremony. An example: Sanrio’s Puroland or Tokyo Disneyland. 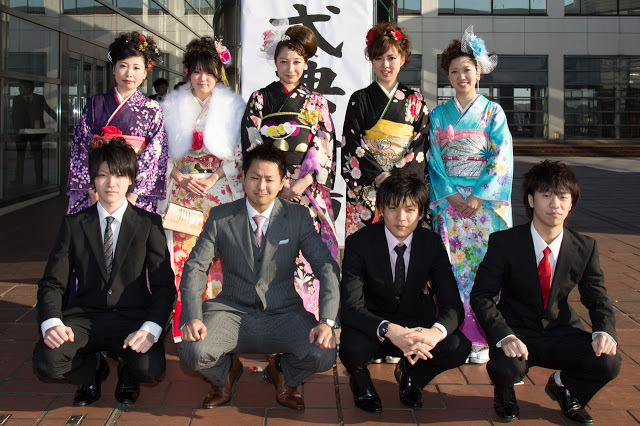 In Japan, those attending the Coming of Age ceremonies dress up for the event. Let’s take a look at how each dresses. 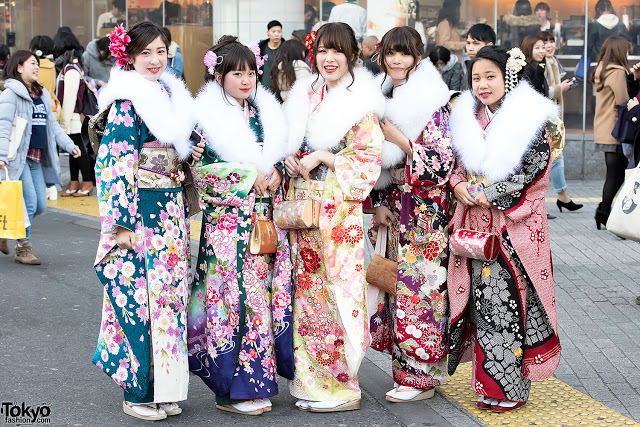 Women usually wear a colourful furisode matched with zori slippers and a fur coat. Salons beautifully arrange their hair and their face beat to the gods. 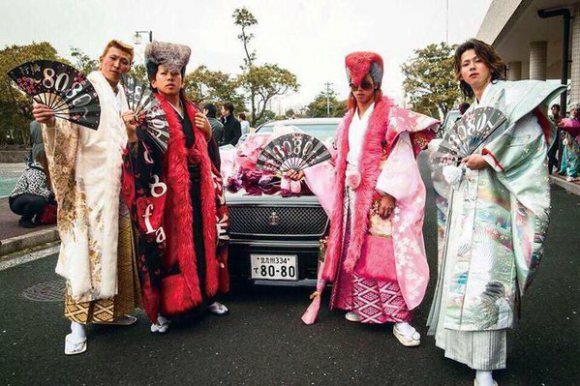 Now you all may be asking, what’s a furisode? A furisode is a type of kimono, it differs from the regular kimono due to its long sleeves. The sleeves of a kimono can extend all the way to the ground. In general unmarried women wear it in Japan. Being made of fine, brightly coloured silk, it’s very expensive to buy. Therefore most opt to rent this wonderful garment for their Coming of Age ceremony. The wonderful folks at at kimonogeisha.com actually go into detail about the different types furisode. And when it’s appropriate to where it, check it out here. 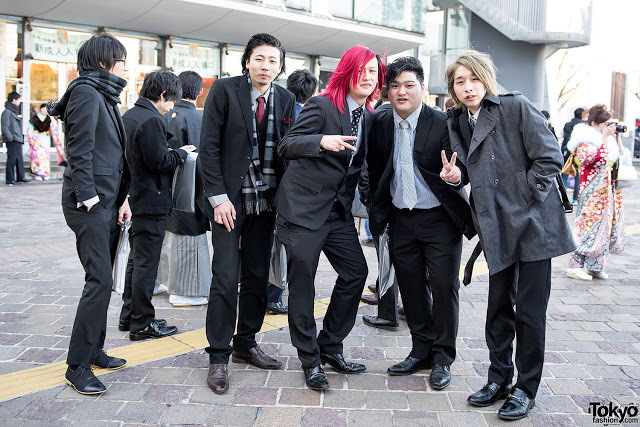 Nextly, for guys, there’s two options, suits or a hakamashita. The suits are well-fitted and worn in the colours of light grey, dark grey, navy or black. On the other, some men wear a hakamashita, though in the minority, and more common in the country side of Japan. Ah, the hakamishita, what is it? It is a male kimono is usually paired with hakama (hakamashita). A hakama is a traditional piece, similar looking to pants, that is tied at the waist and falls at the ankles. Luckily for the guys, they don’t spend as much money as the women to look their best on their special day. Well after the ceremony, young people go out to eat with their old friends. Meanwhile others walk about the town, showing off their outfits. In a way, it is like a parade for them, and why not? You’re an adult now, you should definitely be proud. One of the most common ways to celebrate is to go partying or drinking with friends. Which goes back to the important point of being able to smoke and drink now. It wouldn’t be life if everything was perfect, and such is the case of Seijin no Hi. One of the biggest concerns is the declining numbers of attendees. The biggest contributor to this is Japan’s declining birthrate. Another reason is the formality of the event. Which leads to some skipping out on it in preference to hanging out with their friends later in the day. Another concern is the dress and behaviour of those attending the events. 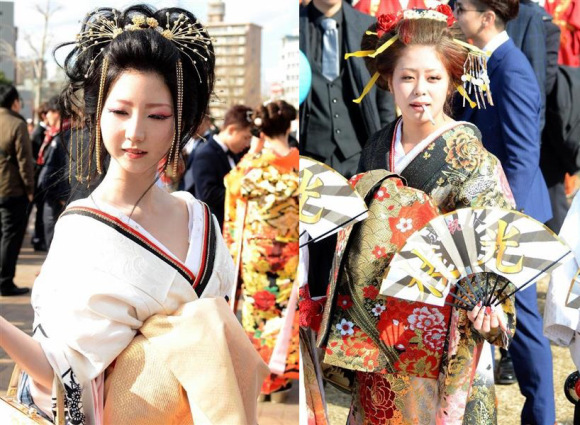 Some girls have chosen to wear their furisode in the style of oiran (a courtesan), which some find inappropriate considering what oiran did for a living. Others also complain about the guys wearing pompadours and sporting very yankii-like (delinquent) fashion, as well as behaviour. But most young adults argue that it’s their right to do as they want since it’s their event, or that the older people are too stuffy. Vice for example has documented these kinds of youth during Coming of Age Day in 2014. I have been following Seijin no Hi since 2012. I just love watching people dressing up and enjoying life. I’m also a big fan of the designs that you would find on the women’s kimono. As for the people dressing like delinquents? I don’t have as much of an issue with them once they don’t ruin the event for their peers or injure anyone. They’re doing the basically YOLO. Comment and tell me what you guys think of this national holiday below guys. And don’t forget to subscribe to my blog or follow me on Facebook, Twitter and Instagram.